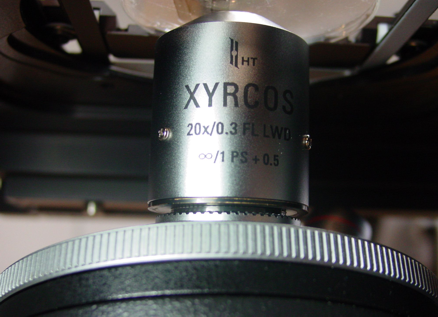 Both the XYRCOS and XYClone are available with a 40x or a 20x objective. Systems can even be configured to use both, or a combination of a XYRCOS and a XYClone. Simply open the laser software program and you are ready to go! No warm-up time is needed. Unlike piezo drills, the lasers are “non-contact” and requires no special needles or pipettes. So not only can you achieve your results quickly and reliably, but you also save money. When working with micromanipulators, the XYRCOS and XYClone allow you to work in “hands-free” mode by using the optional foot switch to fire the laser. Simply use the manipulators to position the embryo to the target and press the foot switch to fire the laser. 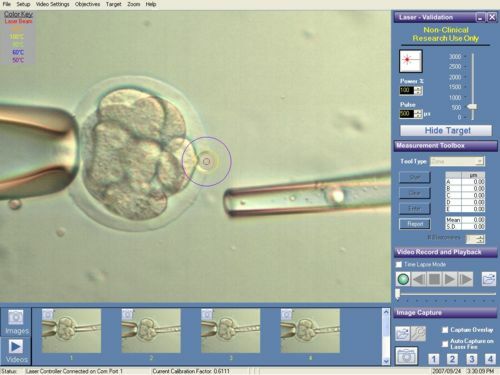 Your micromanipulation proceeds rapidly and the time the embryo spends on the microscope stage is minimized. Also, the laser may be fired as many times as required to complete the process, without need of reactivating the laser. The extremely compact laser units installs directly on turret, leaving both the fluorescence and filter cube ports free for normal use (no removal of components required), and no interference with normal microscope usage. Hassle Free Microscope Upgrade or Changeover!!! The exact same laser configuration installs on ALL brand/model of inverted microscope, including older models. The HT laser systems are ONLY complete laser systems available that can be switched from any brand/model of microscope to any other brand/model of microscope, without need for customization, laser realignment, and possibly even added cost. 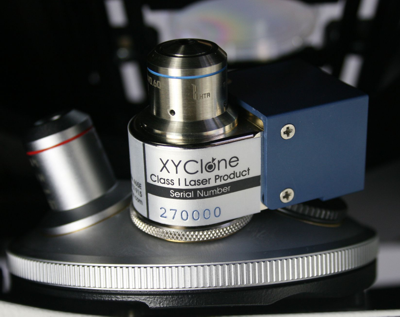 This means that if you buy any different brand/model microscope in the future, the XYClone can still be used with no changes needed!